When you rent out a property that you own, you become a landlord. As a landlord, you have the power to evict your tenants from your property. But, you need to make sure that you are careful here and follow all the rules and procedures that come when you go through this process. So, while you may think it is as simple as turning up and telling your tenants to get out of your property, it isn’t. You need to make sure that you understand the ins and outs of how to evict your tenant properly so that you don’t end up being taken to court. So, if you aren’t up to date on the law right now, you need to read this guide on how you should address evicting a tenant. What Are The Correct Documents? Before you can go through with the tenant eviction, you need to make sure that you have all of the paperwork that you need for this to be lawful. The form that you are going to need is an eviction notice, but you need to keep in mind that this has to be served ahead of the time of eviction. This is because you must allow the tenant enough time to find somewhere else to live before you can reclaim your property. What Is The Housing Act 1988 Section 21? You are likely going to need the eviction notice that comes under section 21 of the 1988 Housing Act. This is the standard notice to say that you want the property back when the tenancy agreement ends. Like we said before, you need to give the person living there enough time to find new accommodation and usually, this is a minimum of 2 months. There are also other forms that you have to fill in to be able to acquire a section 21 eviction notice. The first is going to be the 6a which you can find by going on the government website. Once you have completed this, you should keep some sort of proof that the notice was served to the tenant. One way that you can do this is to fill in the N215 form. There are certain cases where this eviction notice isn’t going to be available to you. Some of these include: if the tenancy is less than six months, if the tenancy term has not ended, or if there was an improvement notice served in the last six months. There are more exclusions to this notice on the government website. What Is The Housing Act 1988 Section 8? The other type of eviction notice that is available to you is section 8. This is going to be what you need if your tenant has broken any of the rules that you set as terms of tenancy. It is advised, that to make sure you fill this out correctly, you seek some sort of legal aid here. So, you should go to a solicitor so that they can oversee you filling out this form. This is just going to be a precaution as you don’t want to fill this in incorrectly. A few examples of when you might need this eviction notice is if you set out no pets in the property as one of your terms, and your tenant violated this. Or, if your tenant has not been paying their rent. Do be aware though that you still need to give the tenant enough time to find somewhere else to live and this can be anything from a few weeks to 2 months. What Issues Could You Face? While it is advised that you serve the eviction notice in person, this is not always going to be possible. It has been known for tenants to not answer the door when their landlord has come around. This issue can be quite a challenging one, especially if you have not been through this process before. The first thing you should do is either slide the notice under the door or stick it to the door so that the current occupier will see it. You can fill out your N215 form after you have done this to document that the notice was served. What If Your Tenants Refuse To Leave? There have been multiple occasions where a landlord has gone to the property on the day of eviction to find that the tenants refuse to leave. Sometimes, they will barricade themselves in the house, it has also been known for them to change the locks so that the landlord can’t access the property. If this happens, you need to fill out either a standard possession order or an accelerated possession order. Does your tennant owe you rent? If so then you will need a Standard Possession Order or an SPO. Be aware that this service does cost about £325, so depending on the amount a tenant pays in rent, it might be worth waiting to see if they get things back on track. Typically, a landlord will wait several months before even considering paying an SPO. The good news is that getting an SPO is incredibly easy and can be completed online. However, there are cases where you will not be able to do this only. This will be the case if someone has trespassed on your property or if tenants have broken the lease terms. In this case, an SPO will need to be filled out on paper and then posted to your local court. This costs £355, and the cheque needs to be paid to HM Courts and Tribunals Service. If your case goes to court and the judge grants you an order for possession but your tenants still haven’t left by the specified date, you can go to the court and ask for a warrant for possession. This is going to cost you £121 and your tenants will be sent yet another eviction notice with a new date that they must vacate your house by. If they still do not leave, you are going to need to go back to the court and ask for a warrant of possession which will arrange a bailiff to come and remove them from your property. What Is An Accelerated Possession Order? You can apply for one of these if your tenants have not moved out by the specified date on the section 21 notice, only if you are not claiming rent arrears. If you apply for this order, there is usually no court hearing and can give you your property back faster than applying for an SPO. This will cost you £355, so you need to weigh up the pros and cons as to whether it is worth paying this extra money. Before you apply for one of these, you need to keep in mind that you cannot evict the tenant if their fixed-term agreement has not ended. If you are trying to evict them and the term has not ended, you are not going to have much luck here. You can download the APO form from the government website, and when you have done this, send it to the closest housing court to your property. If you do want to claim rent arrears, then you can either apply for an SPO, or you can go through with the APO and make a separate claim for the missing rent. What Happens After You Have Requested An APO? Once you have filled in all the necessary documentation, your tenants will be sent a copy. Once they have received the application, they have 14 days to contest this before your order is granted. A judge will usually issue a possession order that will state that your tenants need to leave the property. If this is the case, the judge will set the amount of time the occupiers have to leave your property. This is normally around 2 weeks unless they are in exceptional difficulty where they can be granted up to six weeks. If your tenants do decide to dispute the application, the case can go to court. This is not very common and will only be the case if there is either something wrong with your paperwork, or if your tenant raise an important issue that will deem a court hearing necessary. However, just because the case goes to court, this doesn’t mean your tenants will win. It can still happen that a possession order will be granted in your favour. Something that your tenants can do is ask the judge to suspend the warrant for possession. This will happen at a new hearing, but there can be some outcomes that will not be in your favour. You need to be prepared that if this happens, the judge can either grant the suspension which delays the eviction, dismiss the case, or even allow your tenants to remain in your property if they can start making the payments again. They will have to prove that their circumstances have changed for this to be the case. Can You Avoid Dealing With Tenants? Most landlords do not want to have to deal with their tenants at all when they need to evict them. The good news is that you don’t have to. You can, if you wish, contact a professional server. Agents like this will handle every aspect of the eviction that would otherwise fall on your shoulders. For instance, they can make sure that if a tenant hasn’t accepted an eviction notice that one is posted through their letterbox. If you use a service like this, it’s important to make sure that you do get a certificate of service that can be shown in court. Excluded occupiers are a special case scenario. This means someone is living in your property and is sharing a bathroom, kitchen and other common places with you. This can be the case if you’re renting a room in your property to a student. In a case like this, you only need to give a ‘reasonable notice’ verbally. Legally, this is considered to be the same as the rental term. So, if you are given rent every fortnight, that’s the reasonable notice. After this, you are legally allowed to change the locks. When Can You Not Evict? There are some scenarios where you will not be able to evict a tenant. The most obvious would be for retaliation purposes after a tenant has annoyed you in some way. For instance, you can’t evict if your tenant has reported you to the housing authority or potentially the health and safety issue that you failed to fix. A tenant may have taken legal action against you in this type of scenario. 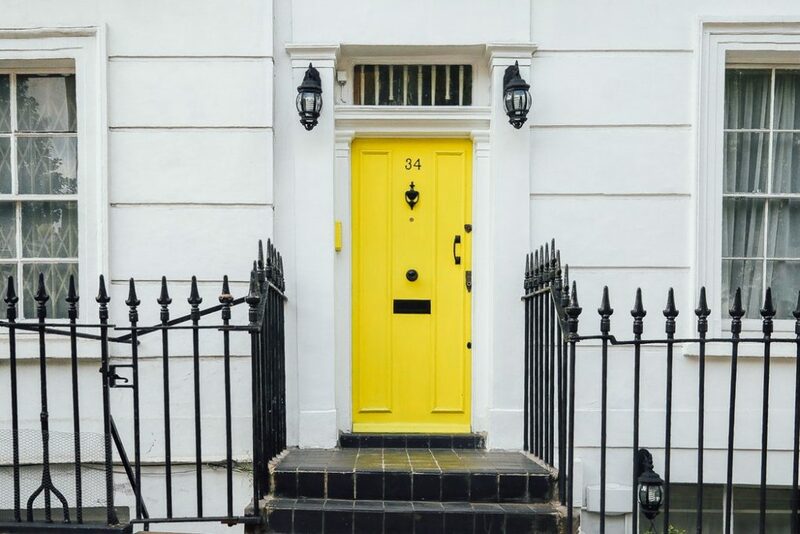 Be aware that even if you win the legal claim, you still should not try and evict the tenant within the three or six months following. It’s quite likely that the judge will see this as a form of retaliation even if the tenant has broken the terms of their lease or has fallen behind on their rent. In a scenario like this, it’s best to wait and gain as much evidence as possible of a tenants wrongdoing before attempting to remove them from your property. Similarly, you should be careful about removing a tenant who is not paying rent due to a safety issue or health problem that you have not fixed. Legally, a tenant has the right to withhold rent if you are not upholding your responsibilities expressed in your contract. This can get tricky. For instance, you will likely include in your contract maintenance of the flat in a tower block. So if an issue develops here, a tenant probably can withhold rent if it’s not fixed in a fair amount of time. In contrast, the elevator in the building probably isn’t included in the contract. As such, in this case, a tenant cannot legally withhold rent due to an issue with this. We hope this helps you deal with the issue of evicting a tenant in the right way. Remember, if you are in any doubt do contact a solicitor who can help you discover exactly where you stand legally in an individual situation. If you need any help or advice on how to locate an ex tenant, after the eviction process, to issue proceedings against them please see our tenant tracing guide.